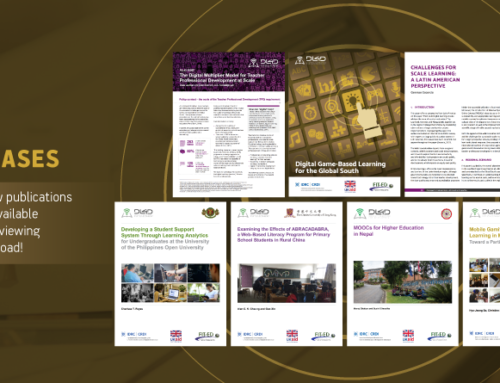 Seven research grants to academic institutions in China, Hong Kong SAR, Nepal, Pakistan, Philippines, Singapore and Sri Lanka have been approved as part of the Digital Learning for Development (DL4D) Network, co-funded by Canada’s International Development Research Centre (IDRC) and the United Kingdom’s Department for International Development (DFID), and administered by the Foundation for Information Technology Education and Development (FIT-ED) in the Philippines. The seven grantees were selected from among 27 institutions that submitted research proposals under a call released in September 2015. DL4D Network Principal Investigator Prof. Cher Ping Lim of the Hong Kong Institute of Education expressed enthusiasm for the Network’s initial line up of grantees. “It is indeed exciting to work with a group of top digital learning researchers in Asia. With these seven research projects, we hope to initiate a region-wide network of researchers, practitioners, learners, policymakers and other stakeholders that harnesses north-south and south-south collaborations to produce and use rigorous research in digital learning by and for developing countries,” he said. 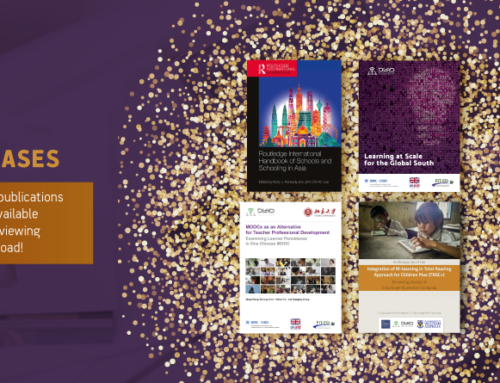 Grantees will examine the impacts on educational equity, quality and efficiency, as well as the potential for sustainability and scaling up, of localized digital learning interventions in developing countries in Asia in the form of Massive Open Online Courses or MOOCs, Digital Game-Based Learning, Intelligent Tutoring Systems and Learning Analytics. “DL4D reflects the kind of demand-driven research IDRC wants to support: systematic investigations of concrete solutions to locally-identified development problems,” said Matthew Smith, Senior Program Officer at IDRC. Grant research projects are expected to run for 12 months. View the list of grantees below.